Tiffany Haddish arrives to the Essence Magazine And Hollywood Confidential Present An Evening With Tiffany Haddish at Saban Theatre on July 6, 2018 in Beverly Hills, California. Tiffany Haddish paired her dress with basic black pumps. 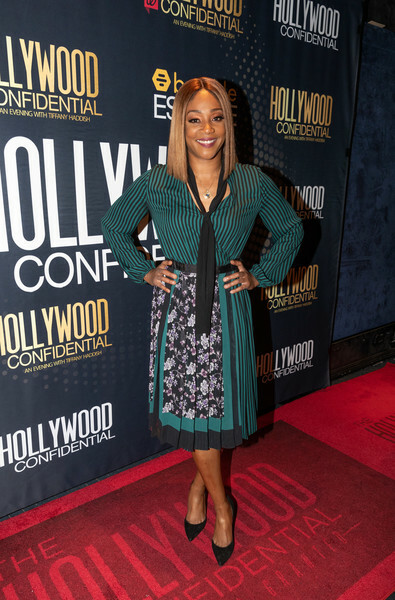 Tiffany Haddish looked demure in a floral-and-stripes tie-neck dress at the Essence Magazine and Hollywood Confidential event.